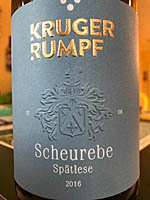 Producer/Winery: Weingut Kruger-Rumpf; Munster Sarmsheim, Germany. 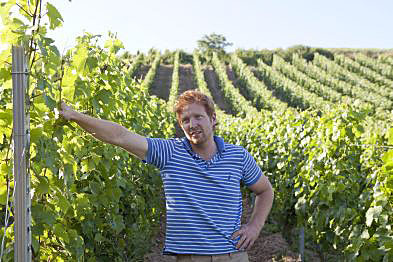 Geographic Appellation,, Region, Country: Nahe, Germany. Paired With: Roast turkey sandwiches on homemade sourdough bread. Chilled before drinking. Clear and colorless. Very light perfume, green apple, honeysuckle and a touch of tropical fruit aromas. 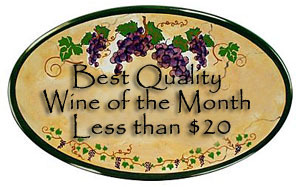 Smooth, slightly creamy mouthfeel, light to medium body and a 200-grit texture. Strong apple and lemon flavors with an assortment of tropical fruit and ripe peach in the background. Nice crisp acidity and a medium-length creamy finish that was filled with a zesty mouthfeel. Just a tad sweet, but the abundant acidity and strong fruit taste created an excellent balanced and delicious wine. Outstanding with the turkey and equally good sipping without food. 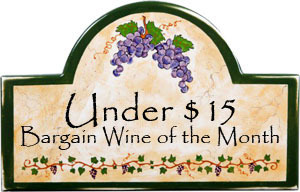 We chose this wine instead of a Gewurztraminer and we were delighted with the result. A very flavorful and refreshing Scheurebe from Germany. Comments: Learn more about Kruger Rumpf and their wines. Imported by: Skurnik Wines; New York, New York.